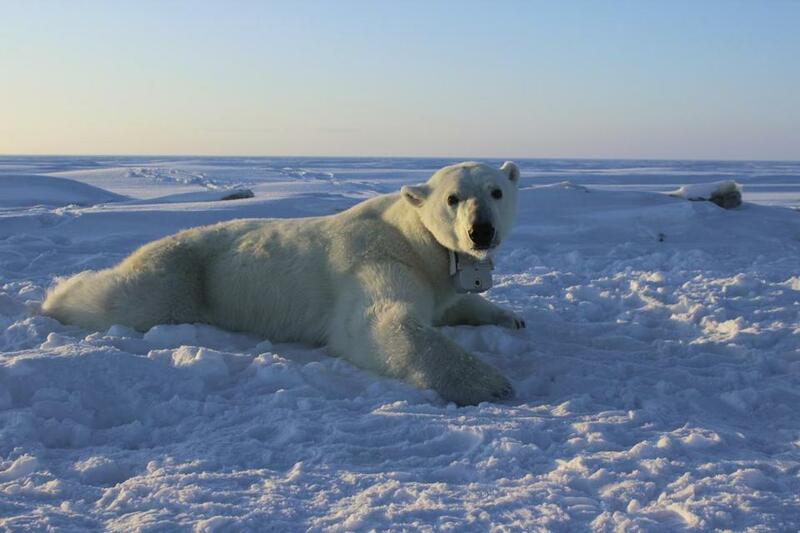 A polar bear wore a GPS video-camera collar lies on a chunk of sea ice in the Beaufort Sea. ANCHORAGE, Alaska (AP) — Some polar bears in the Arctic are shedding pounds during the time they should be beefing up, a new study shows. It’s the climate change diet and scientists say it’s not good. ‘‘You’re talking a pretty amazing amount of mass to lose,’’ said U.S. Geological Survey wildlife biologist Anthony Pagano, lead author of a new study in Thursday’s journal Science . Polar bears hunt from the ice. They often wait for seals to pop out of holes to get air and at other times they swim after seals. If there is less sea ice and it is broken apart, bears have to travel more — often swimming — and that has serious consequences, such as more energy use, hypothermia and risk of death, said University of Alberta biology professor Andrew Derocher, who wasn’t part of the study. The study found that on the ice, the polar bears burn up 60 percent more energy than previously thought, based on these first real-life measurements done on the ice. A few of the bears travelled more than 155 miles (250 kilometers) in about 10 days off the northern coast of Alaska in the Beaufort Sea, Pagano said. The average bear female burned about 13,200 calories a day — six times more than an active human female. Some polar bears in the Arctic are shedding pounds during the time they are supposed to be beefing up. 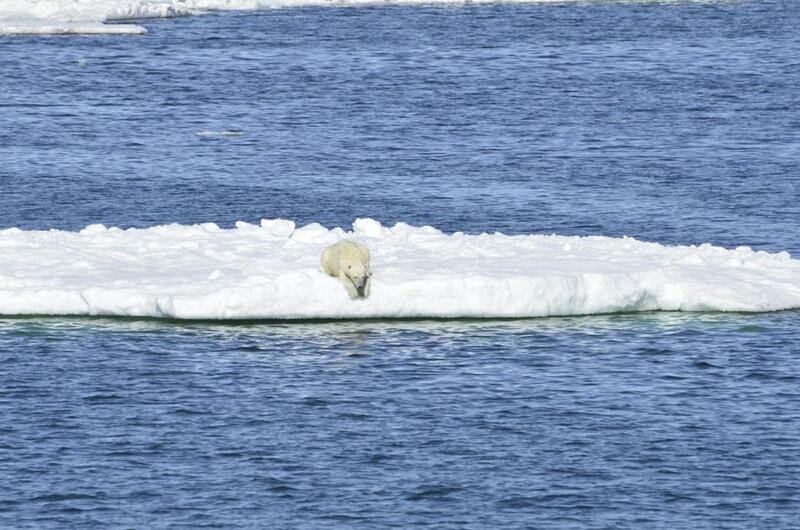 As the ice dwindles, ‘‘we are essentially pulling the rug out from underneath the polar bears,’’ Durner said. The bear videos showed researchers all sorts of usually private aspects of polar bear life, including courtship and hunting. They recorded dramatic, and at times, bloody seal hunts from the bear’s perspective. ‘‘You’re seeing everything it is seeing,’’ Durner said. Researchers only tracked female bears because males can’t keep collars on — their heads are too small and their necks too big — Pagano said. Blaine Griffen, a Brigham Young University biology professor who wasn’t part of the study, praised the USGS work, noting that past studies have looked at resting polar bears and polar bears on treadmills in the lab. In the long run, climate change ‘‘will result in smaller bears that produce fewer cubs and that have lower survival rates,’’ Griffen said in an email.